Free sales training videos. Here are five free sales training videos covering sales skills, a sales strategy plan, cold calling tips, sales prospecting tips and effective sales techniques. Sale Training video 1. Key Sales Skills. Most of the key sales skills a salesperson needs to be successful in today’s selling environment are very different from the ones they would have used 3 or 5 5. The influence of social media, online content, peer recommendations, and reviews, means that buyers are rapidly changing how they select vendors or engage in the sales process. Sales Training Video 2. Sales Strategy Plan. Another one of our sales training videos is on the topic of a sales strategy plan. This would be a salespersons approach to winning new clients alongside developing and retaining existing customers. A sales strategy plan should outline in detail the salespersons sales goals and objectives for the period it covers including all the major sales tactics they intend to use aligned to each prospect or customer. To succeed in an increasingly muddled selling landscape, every salesperson needs to create their own grand sales strategy plan for sustainable sales growth. Sales Training Video 3. Call Calling Tips. This sales training video has some cold calling tips and tricks which are designed to give a salesperson some guidance in their sales prospecting efforts. Despite what you read, cold calling when used correctly still has an important role to play in the acquisition of new customers. If as a salesperson, you feel overwhelmed by cold calls, you’re not alone. So hopefully these cold calling tips and tricks can help you improve your results. Sales Training Video 4. Sales Prospecting Tips. This video on sales prospecting tips will hopefully assist any salesperson to boost their new prospect engagement and general lead generation activities. Without putting too fine a point on it, the biggest challenge in sales prospecting is getting a sales opportunity started with a qualified buyer in the first place. Too many salespeople forgot that for this to happen, they need to get the prospect to listen to them. Watch on. Sales Training Video 5. Effective Sales Techniques. 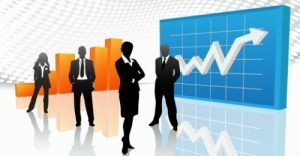 Effective sales techniques are many as they are varied. In fact, research shows they can be just as much psychological as functional when it comes to selling. In the era of social business and social media where inbound leads to be valued above everything else, many valid sales techniques have been overlooked or become obsolete. Unfortunately, this has had the effect of salespeople not really understanding the skills and techniques required for successful outbound sales calls and pitches. You can read more articles on sales training here. For more sales training video, see The Digital Sales Institute YouTube channel.